Whirlpool washing machines have several access areas to repair the different components, depending upon the model. Direct drive washers usually have a one piece cabinet that completely removes from the washer. Belt-driven washers and front-load washers have kick plates at the bottom of the front panel, providing access to the drain pump, belt and motor. Removing a kick plate on a Whirlpool washing machine is much like removing one from a dryer. Insert a putty knife between the top of the kick plate and bottom of the front panel near the center of the washer, if you have an older model top load washer. Move the putty knife blade in and out in that area until you feel an obstruction. The obstruction is the kick plate retaining clip. Press the putty knife blade over the spring clip until you feel the clip disengage. Let go of the putty knife and grab both ends of the kick plate with your hands. Pull the kick plate away from the washer. 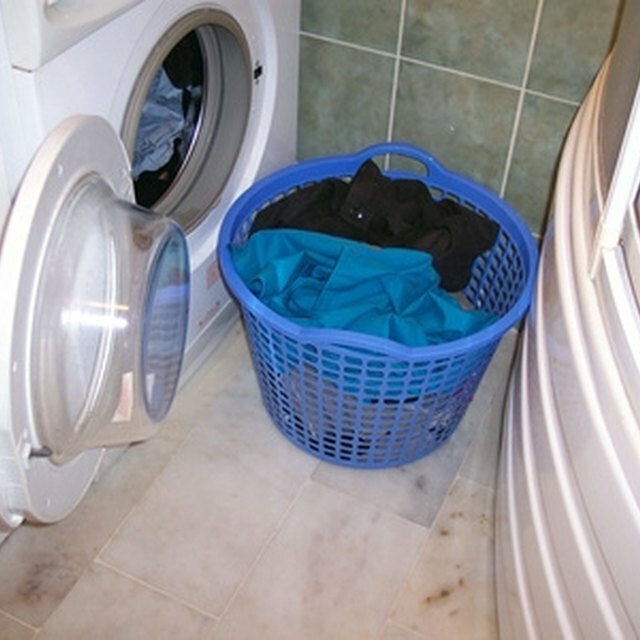 Lift the front of the washer with help from a friend, if you have a front load model Whirlpool. Slide a block of wood under the front of each side and gently lower the washer. Remove the three hex head screws on the bottom edge of the washer kick plate with a Phillips-head screwdriver or nut driver. Pull the kick plate away from the washer. Older, standard-cabinet Whirlpool belt driven washers also have an access panel in the rear of the washer. Pull the washer away from the wall and remove the six hex head retaining screws from the access panel. Pull the panel away for access to the motor and belt. What Is Spin Sense on an LG Washer?